The Himalaya is the world’s mightiest mountain system, containing nine of Earth’s ten highest peaks and stretching more than 2,500kms across India, Nepal, Bhutan, Tibet and Pakistan. Long associated with great adventurers and mountaineers, this is a place like no other: remote, majestic and romantic. 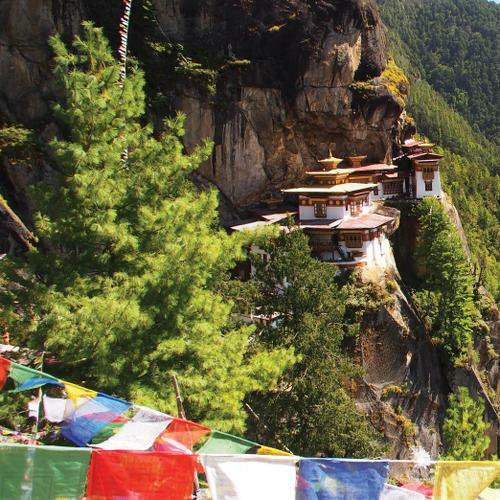 Head to Nepal’s Annapurna region for a classic trek through lush foothills and Hindu villages; or walk among rhododendron forests, fluttering prayer flags and iconic peaks as you trek towards Mount Everest base camp. 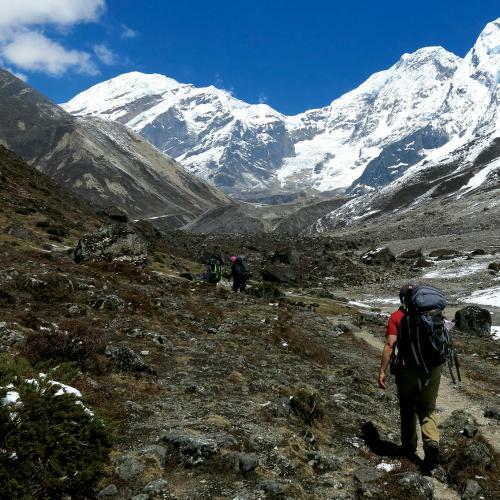 Hike out into the Nanda Devi, a seldom-visited region of the Indian Himalaya, carpeted with wildflowers and framed by a backdrop of sacred peaks; or join our challenging Bhutan Snowman Trek, ranked as one of the greatest treks in the Himalaya. Cycle along some of the world’s highest roads, discovering ancient cities alive with bustling markets and sacred monasteries; or be one of the few to traverse the Great Himalaya Trail—the world's longest and highest walking track. 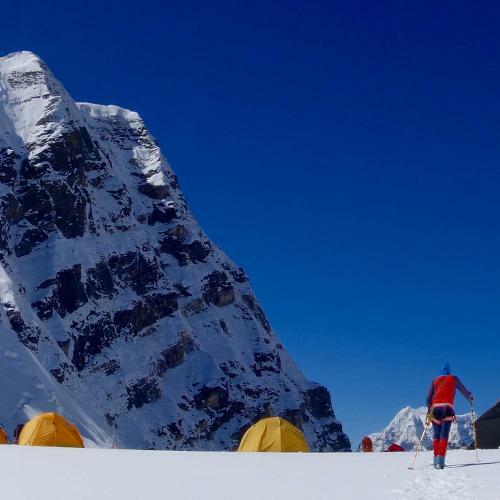 From exciting family adventures to technical climbs on some of the world’s most challenging peaks, our pioneering treks are designed to get you deep into the heart of the Himalaya. Join us as we explore the iconic treks and remote trails of this unforgettable region! 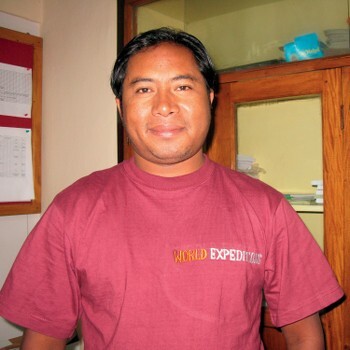 Responsible Travel practice is at the heart of every program that we offer in the Himalaya. World Expeditions have pioneered many unique philanthropic initiatives that benefit our staff, local communities and the environment. When you book one of our adventures you’re supporting a program that is committed to safety and sustainability. We proudly pioneered the first ever trekking trip to Tibet (1991), and developed trails in Nepal and the Indian Himalaya that had never before been used commercially, including the Api Himal and a traverse from Kashmir to Ladakh through Zanskar (1983). We also piloted the first commercial opportunity to walk The Great Himalaya Trail (2010) linking the high passes from Nepal’s most eastern to western borders. We’ve been organising treks, climbs and tours in the Himalaya for four decades. Our firsthand knowledge of the region is unmatched, and we continue to push the envelope each year by innovating new programs while also finessing our classics. From a short four-day family trek in the Annapurna region to a challenging mountain bike traverse from Tibet to Nepal, we’re sure to have something for every age, interest and fitness level. On top of all meals, highly trained local guides, an experienced trekking and cooking crew and exceptional camping services, we also provide you with the use of a trek pack, which includes a quality sleeping bag, down or fibre fill jacket and insulated mat (valued at over US$500). Our guides in the field are the real keys to our success, making your experiences exceptional. From Tim Macartney-Snape, who with Greg Mortimer completed the first Australian summit of Mount Everest, to Bir Singh, one of Nepal’s most experienced guides—our leaders are the pillars of our Himalayan adventures. The countries of Nepal, Bhutan, Sikkim and India present some of the world's poorest living conditions. According to the United Nations 2010 Human Development Report "environmental degradation intensifies inequality through adverse impacts on already disadvantaged people and inequalities in human development amplify environmental degradation". World Expeditions chooses to make a difference by putting in place initiatives that reduce our impact and giving back to the places and people we encounter. To minimise our impact on the natural environment we practice the '7 Principals of Leave No Trace', in addition to supporting local economies by employing guides and staff from local communities. Our Animal Welfare Code of Conduct, Child Welfare Code of Conduct and Porter Welfare Policy ensure the well-being of animals and children encountered on our adventures, as well as the mountain porters we employ on our treks. 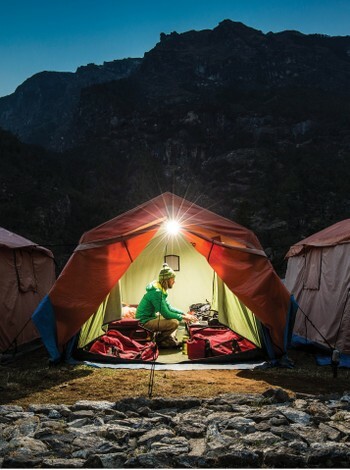 In the Everest and Annapurna regions, our sustainable private campsites feature standing room, fixed two person tents equipped with raised beds, mattresses and pillows. Dining rooms offer a comfortable environment to dine and socialise with fellow trekkers, with cushioned seating, picture windows with mountain views and, at higher altitudes, a pot belly stove for warmth. Ablution blocks have western style sit toilets and wash basins. Enjoy our fully supported, self-sufficient camping featuring quality two person tents with good ventilation that have been erected in scenic wilderness settings as well as a dining tent and a toilet tent with a sit toilet. Our crew take care of the logistics, including food preparation, as we focus on keeping our impact on the environment to a minimum. In the Annapurna and Everest regions we have specially appointed eco lodges which adhere to our very specific criteria of not burning wood and follow our menu and hygiene guidelines. In cities and large towns you will be accommodated in 3-4 star properties that are generally centrally located, atmospheric, and where we have seen a very high traveller satisfaction over many years. 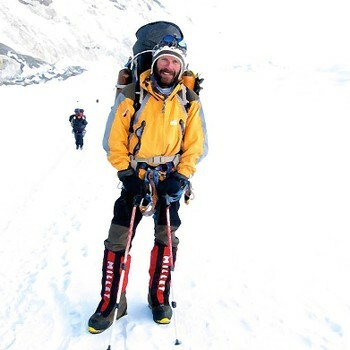 Tim is Australia’s best known mountaineer and an inspiring leader whose passion is taking small groups into the most isolated and wildest places. He has climbed Everest [twice], Ama Dablam and Gasherbrum 4, among many others. 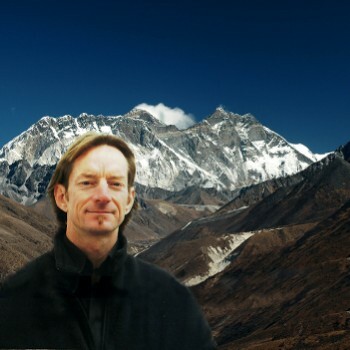 Tim brings different tangents to exploratory treks with his natural history knowledge and true understanding of the Himalayan culture. One of our most senior guides, Sanjay has been with us for some 20 years and is a star performer with regard to traveller feedback. Aside from leading many cultural tours in Bhutan he has also led numerous Snowman Treks, which is one of the most strenuous treks in Bhutan. 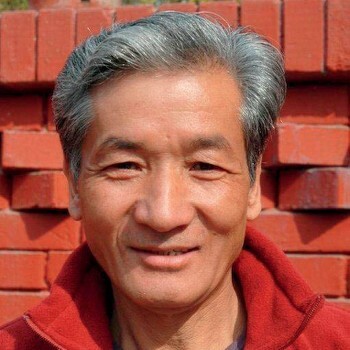 He is an asset to our company and we are certain that travellers will surely enjoy his experience and cultural knowledge of his Bhutanese mother land. 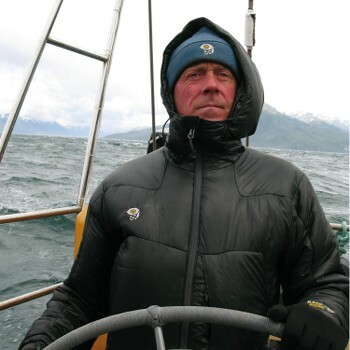 Garry has been involved with World Expeditions since its inception in the mid 1970s. 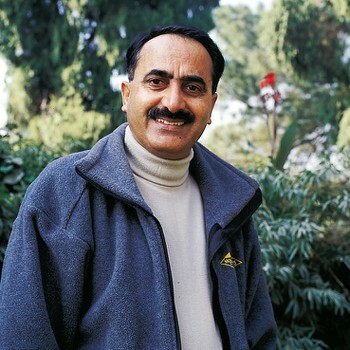 He is a recognised authority on the Indian Himalaya with his intimate knowledge of the region documented in the Lonely Planet guidebook ‘Trekking in the Indian Himalaya’ now in its 5th edition. 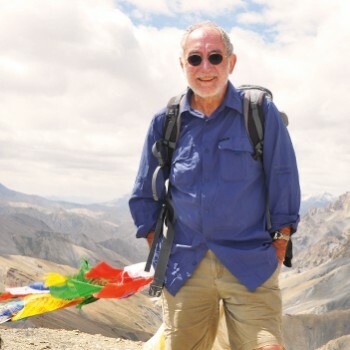 He is also a founding director of the Australian Himalayan Foundation. 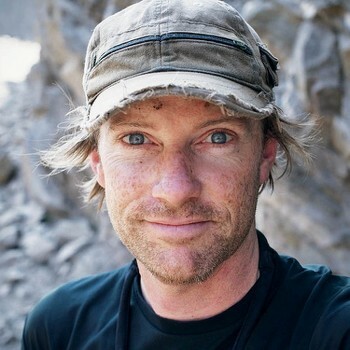 Andrew is an inspiring and immensely accomplished adventurer, and a wonderful communicator. In October 2009 he conquered Shishapangma, Tibet, becoming the first Australian to climb all 14 of the world’s 8000m peaks – a feat only achieved by a select few worldwide. His achievements include multiple ascents of Everest, Lhotse and Manaslu, five Australian first ascents and establishment of many new routes. Jon has been at the cutting edge of world adventure for 33 years. Jon reached the summit of Everest alone and completed first ascents of extreme new routes in the Himalaya. An accomplished polar explorer, Jon was the first Australian to trek to both poles with Eric Philips. 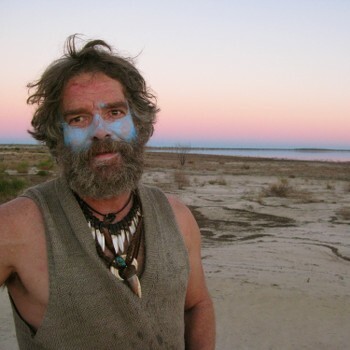 The culmination of Jon’s dedication to adventure was his unsupported traverse of Australia in 2001, where he completed the first unsupported walk to the geographic centre of Australia. 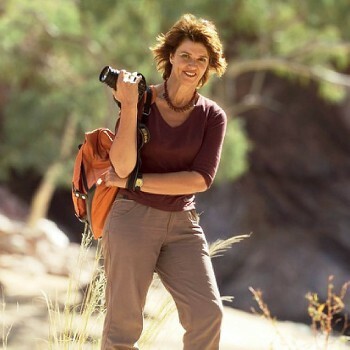 Kate is an extraordinary adventurer who has cycled the width of Africa – some 22,000kms from Senegal to Somalia – pedalled 25,000km around Australia and is the first woman to cycle unsupported across ‘new’ Russia. In more recent times, Kate has turned her focus to cycling in Antarctica. When not trailblazing cycle routes and raising vital funds for many worthy organisations, Kate is a professional real tennis player. Dave is an adventure cyclist who has endured many unsupported, long distance off road explorations. These adventures have taken him across the Akhangai Mountains in Mongolia, pedalling over 1000kms from Tibet to Nepal and across Australia ‘Gulf2Gulf’ from Spencer Gulf in South Australia to the Gulf of Carpentaria. Jo has been exploring the hills since she was a teenager. 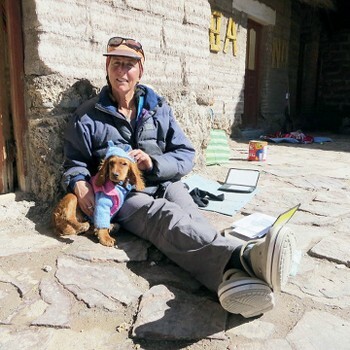 As well as over 20 years adventuring in the New Zealand Southern Alps and climbing many of NZ’s peaks, she has been fortunate to have spent considerable time in the Himalaya, on the rock walls in Australia and the USA and studying Emperor Penguins in Antarctica. Jo leads is a well respected, inspirational leader. 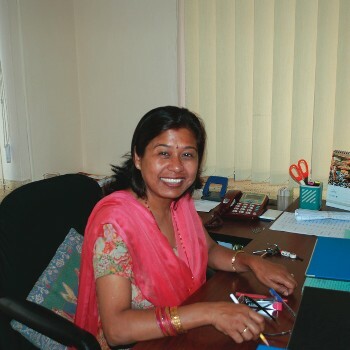 Mrs Uma has been with us nearly 20 years and is the driving force behind our Kathmandu office. Coordinating the details of school and private groups and managing our community project works, her skills are as diverse as her knowledge of achieving the best services and prices for our travellers. We are privileged to have such an effective administrator and negotiator on the team, not to mention Uma’s delightful manner when liaising with travellers. 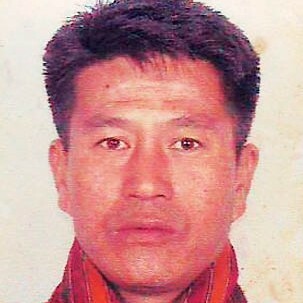 ‘Mr Din’ has been the driving force behind the operation and management of our Nepal trekking program for the past two decades. 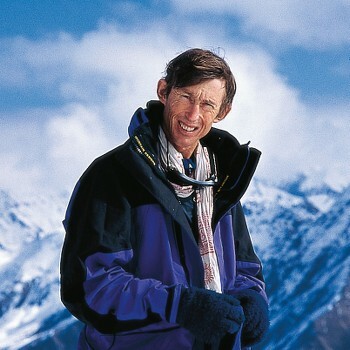 His tireless commitment to trip quality and focus on responsible tourism practices has ensured that World Expeditions remains at the forefront of the Himalayan trekking scene. 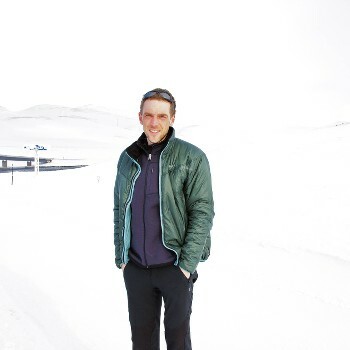 A writer, adventurer and museum curator, Jono has deep experience throughout the Himalaya. Jono spent eight years immersed in Himalayan culture and studying Buddhism and Hinduism, an experience that culminated with his 2700km solo walk from Pakistan to Nepal. This trek forms the basis of his highly acclaimed travel narrative, Into the Heart of the Himalayas.